I’m going to start throwing up all the Silver Pigeons that I find for sale on the web to the front page. Figure that will help people that are trying to track down parts or bikes. 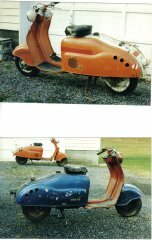 So heres some newer ads, enjoy 🙂 Top few are from http://scoot.net/classifieds/, the bottom ones are off craigslist. 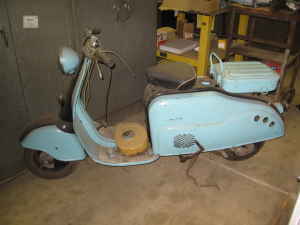 Description As seen @ Scooter Originali Swap meet 3/20. An easy project – it’s all there, you’re not searching for unobtainium sheet metal. It’s orange & creme; the blue & red one sold. 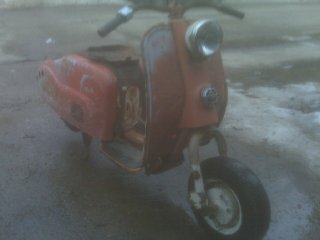 Needs rings, head gasket, throttle cable, ?? Includes original Service & Parts Manuals, key. Be the envy your scooter crowd! 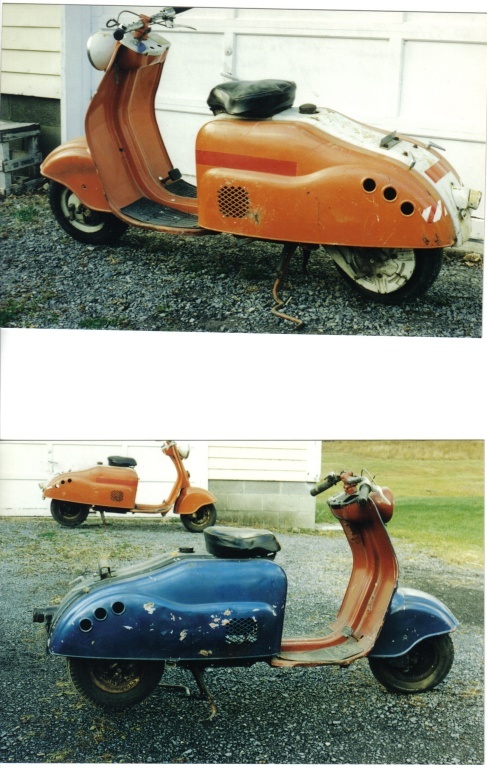 Where can you find a vintage metal scooter, 4 cycle, automatic, that does 45 mph and sounds like a lawn mower! Asking $650 OBO. Bill of Sale only. Description sell complete or part out,like to see it stay together. think it is a 1950 riverside silver pigeon model 75 not sure.700.00 or offers,trades i collect vintage snowmobiles. please call with any questions. Not sure of the year but think it is 47 will find out looks same as 47 picture,mostly complete excellent side panels,motor is in it,says silver pigeon all over it ,nice start for a good restore.these are called the silver ghost by collecters because thy are so rare. pictures coming please call 701 840 0800 for those of you that have nothing better to do then send bogus emails your day is comming burn in he! !